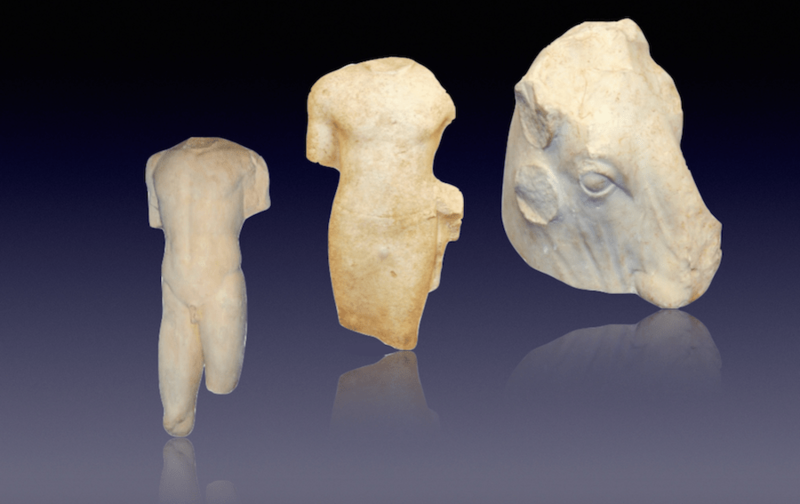 MANHATTAN (CN) – New York officials held a ceremony Friday to mark the return to Lebanon of three marble sculptures that predate the dawn of the Roman Empire. 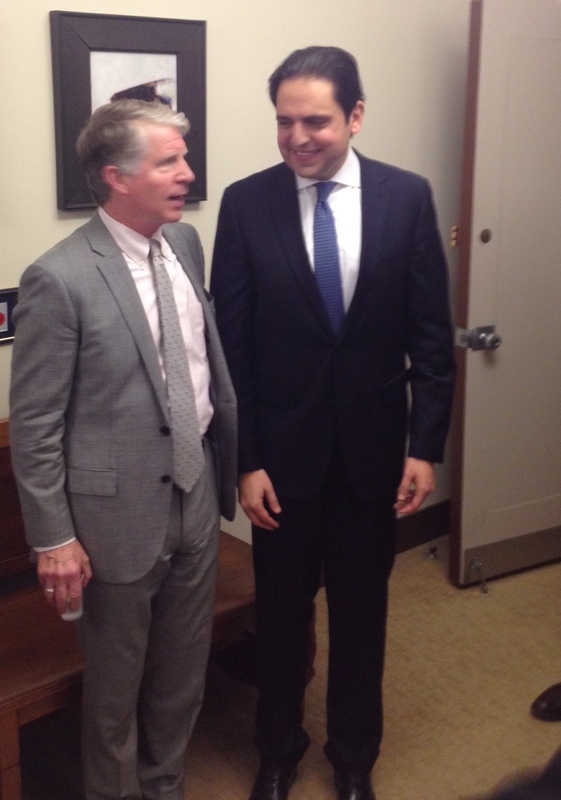 “We were told the big sculpture was worth $800 million,” said Majdi Ramadan, consul general of Lebanon in New York. Towering nearly seven feet high from its display on a pedestal, the 6th century B.C. statue to which Ramadan had been referring depicts the marble torso of a calf bearer. As reported in October by The New York Times, Manhattan prosecutors only got wind of the statue while preparing for a court battle over a marble bull’s head. Colorado collectors Lynda and William Beierwaltes acquired both pieces in 1996 and then sold them to New York collector Michael Steinhardt. Lebanon requested the return of the bull’s head when a curator at the Metropolitan Museum of Art, where Steinhardt had loaned the piece, raised concerns about its provenance. When Steinhardt asked the Beierwalteses for his money back, the couple brought a short-lived federal complaint against Manhattan District Attorney Cyrus Vance. The Times noted that one of the assistant prosecutors in Vance’s office spotted the calf bearer in a photograph of the Beierwalteses’ home that appeared in a profile of the couple in a June 1998 issue of House & Garden magazine. After reviewing the evidence of the sculptures’ theft, however, the Beierwalteses dropped their court challenge. Both pieces and a second, much smaller, torso were on display Friday in an eighth-floor conference room of the Manhattan District Attorney’s Office. The bull’s head is the oldest of the three, said to have been chiseled in 360 B.C. Like the calf bearer, the bull’s head was originally found at the Temple of Eshmun, excavated in 1967 from this ancient place of worship near Sidon in southwestern Lebanon. Before its theft in 1981, during the Lebanese Civil War, the bull’s head was transferred to the Byblos Citadel in Jubayl. 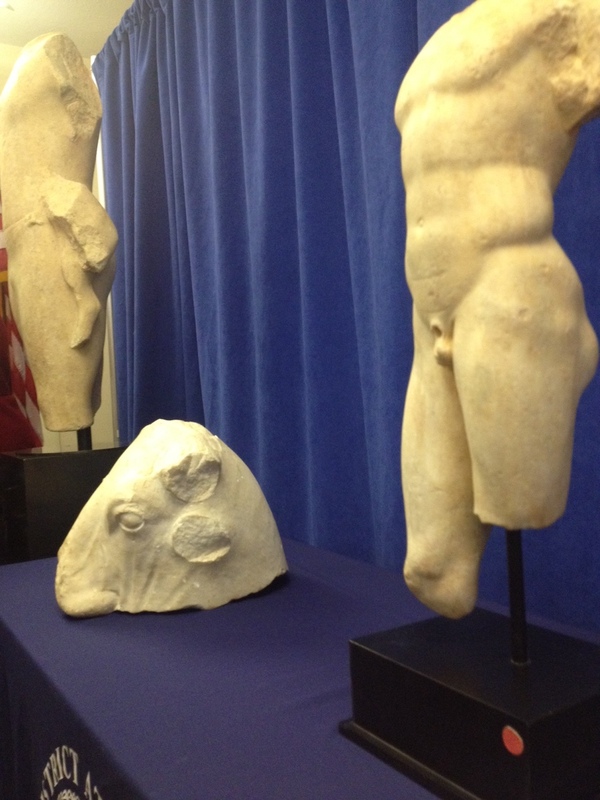 Prosecutors say the smaller torso is from the 4th century B.C. and was excavated from the Temple of Eshmun in the 1970s. They did not offer a valuation of this piece, but said the calf bearer was worth $4.5 million and the bull’s head was worth $1.2 million. At Friday’s repatriation ceremony, District Attorney Vance emphasized that sticker prices are a poor way to evaluate the sculptures. “When you put a price tag on these artifacts, however, it is all too easy to forget that these are not just valuable collector’s items — these are rare, celebrated remnants of entire civilizations’ culture and history,” Vance said. 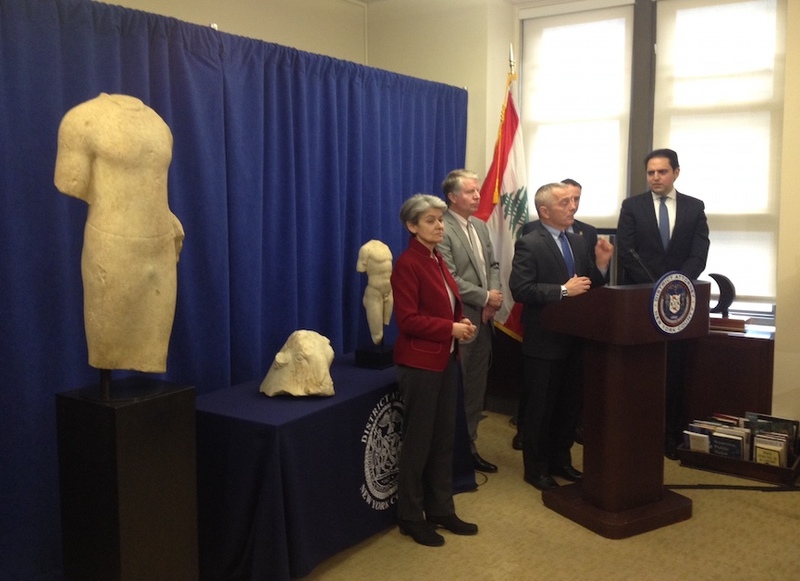 Assistant District Attorney Matthew Bogdanos described the route these types of stolen antiquities follow to end up in New York. Ramadan noted that the process of getting these three pieces back to Lebanon was not very heated. Prosecutors have their work cut out for them. “These pieces were stolen along with 500 other pieces back in 1981,” Ramadan noted. Ramadan said the smaller marble torso might be worth $300,000 and that the bull’s head was worth $2 million. The Lebanese government plans to have the statues appraised by the auction house Christie’s, he noted.